Once again, lawmakers propose to use the regulatory state to punish people they don’t like. 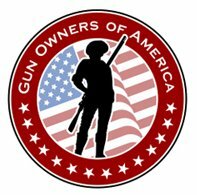 This entry was posted in 2nd Amendment, Anti-Gun, BATF, BATFE, FFL, Gun Control, In the News, State laws and tagged 2A, 2nd Amendment, acts of violence, Anti-Gun, ATF, BATF, bill of rights, Castle Doctrine, CCW, concealed carry, Concealed carry in the United States, Crime, Crime and Justice, Crime Statistics, Fast & Furious, Firearm, Gun, Gun Control, gun free zones, Gun law, Gun politics, gun rights, Gun violence, guns, Handgun, home defense, Home invasion, Law, National Rifle Association, NRA, Politics, pro gun, Pro-Gun Rights, Project Gunwalker, Right to carry, Right to keep and bear arms, School shooting, school shootings, Second Amendment to the United States Constitution, united states, Violent crime. Bookmark the permalink.